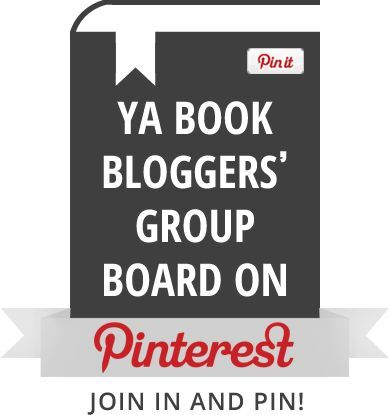 This entry was posted in Books, Movies, Reviews and tagged catching fire, movie, review, the hunger games. Bookmark the permalink. First I have to say that my best friend will be thrilled that they’ve re-cast the cat because it was one of the many things she rants about when she rants about how much she hate the first film! Second, it sounds like there are still some annoying little bits but overall a better film/book fit than the last one? 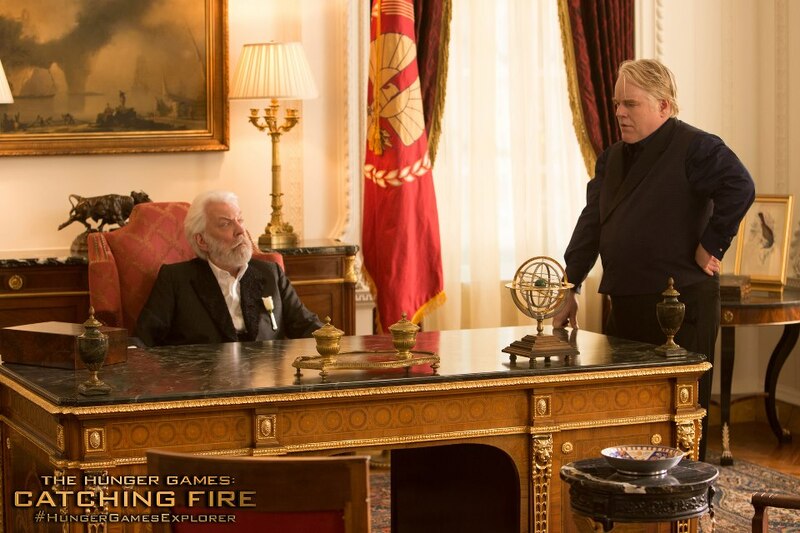 Looking forward to it and I’ll be prepared now for things like cutting Plutarch showing Katniss his watch! What was the point in that edit?? Like you said it would’ve taken 2 secs and really added to the scene! There was really one thing that annoyed me, and a few things I would like to have seen (like the watch), but the movie overall does deliver as an excellent adaptation. 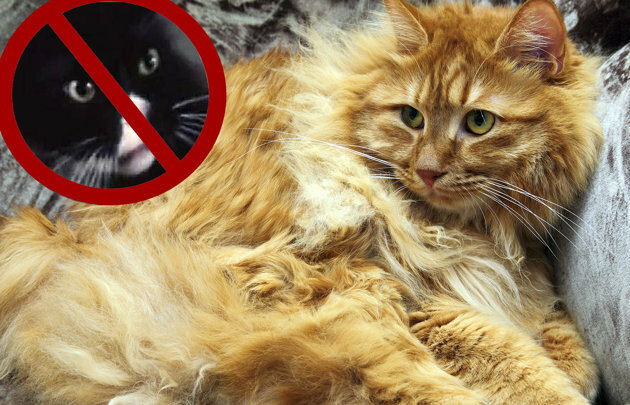 I think it’s funny your friend rants so much about the cat! Okay … Peeta was useless in the first one, and while the personality bothered me less this time, he degraded to WORSE than useless. Oh well, least he’s not a Cullen …. Overall, I agree with your assessment. Improvement over the first film, though I’ve still liked both of them better than the book they adapted. Call it the fact that I usually don’t like first-person narrative, maybe. 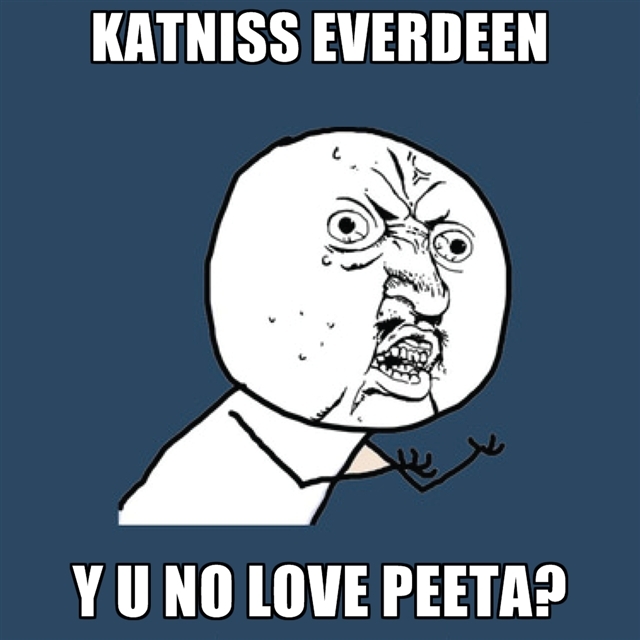 You and I will never agree on the Peeta thing. I do like the movie more than the book but mostly because I like the complete story, but I definitely love having a visual of what was happening, with some scenes especially. It was definitely a strong adaptation. Yeh, the elevator bit was hilarious. The closeup on the emotional progression in Jennifer Lawrence’s eyes in the last seen was pretty incredible. She did do a good job there! I liked the first one fine but this one was a definite improvement! I totally agree on every point..the gale bits annoyed me as well..seriously gale is my least favorite character in the books I have no idea why people ship him! 2. Yes, the movie actually made me like Peeta so much more than I ever have! Awww! 3. What the heck was up with all the kissing? I don’t remember that much in the book. Esp. between Gale and Katniss! 4. 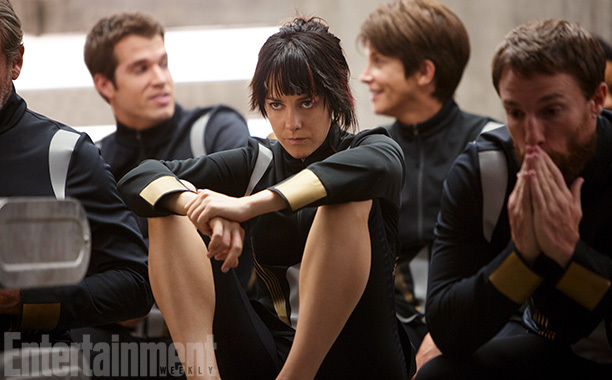 OMG Johanna was freaking AWESOME. I want her to have a spin-off of her own, lol. There is a fair amount of Peeta-Katniss kissing in the book, but yeah, a little too much with Gale. And a Johanna spin-off! Love that idea! I agree with ALL OF THIS and would like to add one more thing: where was the scene where Katniss asks Finnick what it feels like to not be pretty after the poison gas??? That was my favorite scene in the whole book!!! 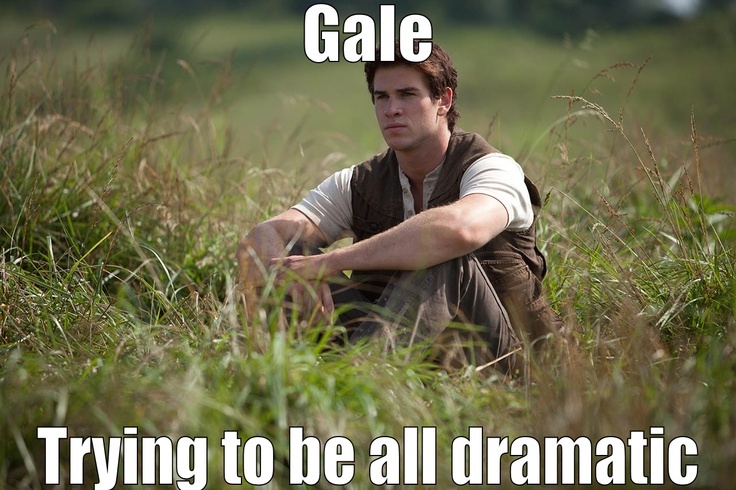 I still don’t like Gale, or Liam. Boot them out for good! I actually forgot about that scene until you mentioned it! A lot of what happens in the Games I completely forgot until I saw it happen, then I was like, oh yeah… It wasn’t even until right before Katniss gets rescued that I remembered Peeta gets captured! 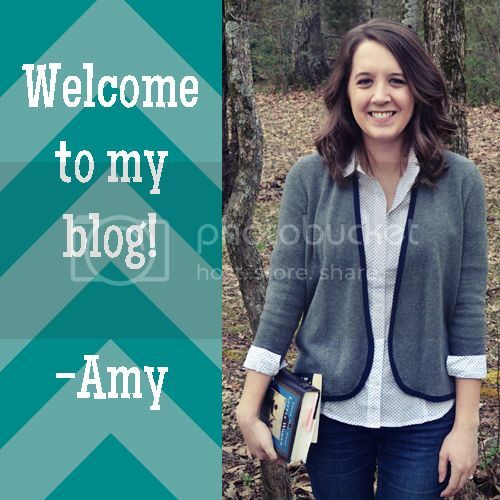 Duh, Amy! I LOVED this movie way better than the last one for the points you mentioned because YAY for incorporating more book into it. But I also had the same exact problems with it. Gale…ugh. I think they confused all the non-readers out there. Plutarch was a big problem I saw throughout the community who wanted to have the watch in. I loved the baby scene, BUT it’s like it never happened afterwards. No mention of hormones, no mention anywhere. There was more Peeta/Katniss scenes in the book, but I’m always a bit dissatisfied when it comes to not having enough of them. I LOVED the new director, I think he and everyone else did a way better job! Yeah, like NO mention of the baby afterwards! Did all the tributes know Peeta was lying in the movie? 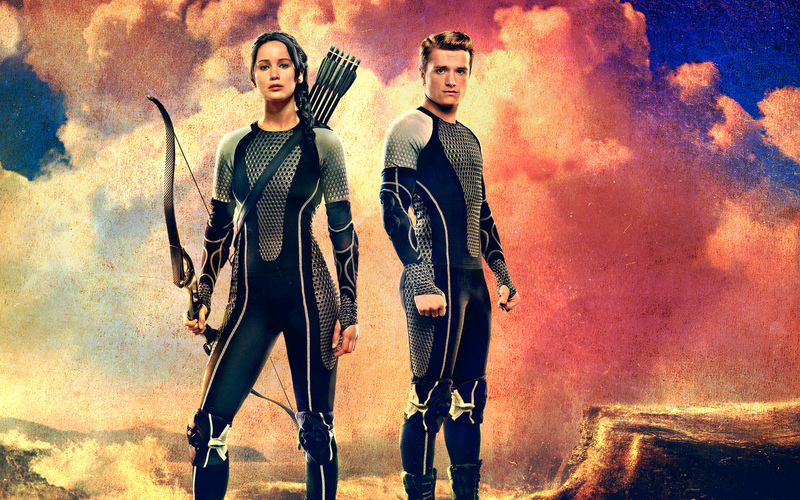 But yes, there’s enough Peeta-Katniss moments in the movies! Definitely agree that the new director did a better job! I agree that the Katniss/Gale relationship definitely felt different in the book than it did in the movie. And I think I might like the movie better too, though it’s been a while since I read the book so it’s kind of hard to say for sure.